John J. Deeney SJ was born in Philadelphia, Pa, US on July 22nd, 1921. He knew at a young age that he wanted to be a priest and dedicate his life to God. 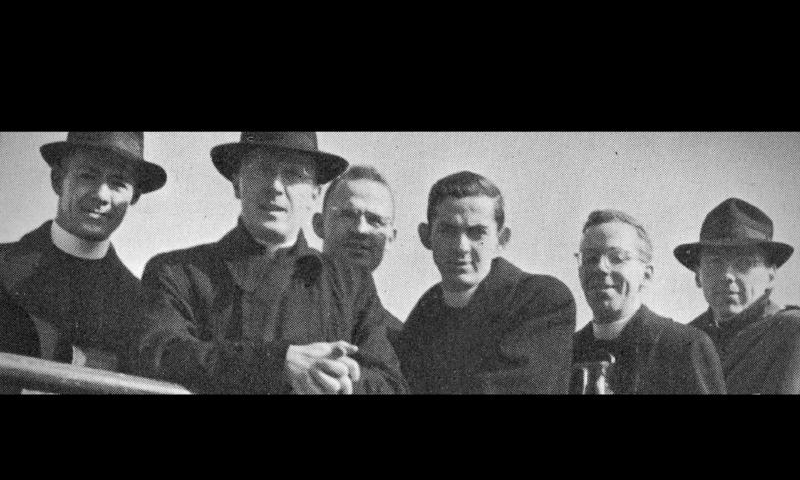 He entered the Jesuit order in 1939. 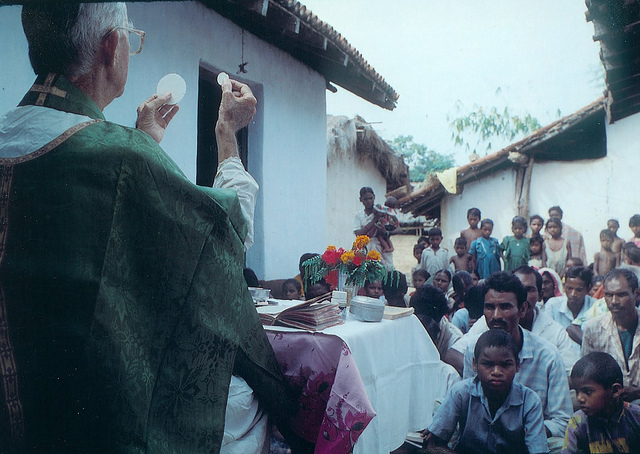 John Deeney, SJ lived his whole life in India and died on January 18, 2010. He was buried in Chiabasa, Jamshedpur, India in the area where he spent most of his life. In 1948 he was sent to India to an area in the Kolhan region in the Jamshedpur diocese. He remained there his entire life spending most of it in and area called Chiabasa. He was ordained a priest in 1952. There he was dedicated to education, culture and the spiritual life of the Ho people. He wrote 7 volumes of works on the Ho culture. He translated the Old and New Testament into the Ho language along with the Ho vocabulary and Ho English Dictionary. In supporting the education of the Ho people, he helped to build several schools. He baptized thousands of people into the faith. He was also an advocate for the people of Orissa during unrest there and raised funds and awareness. The building of The Saint Paul Miki School was a goal of his at the time of his death. Supporting the building of this school is one of the aims of this site. Not only did he write books for the Ho people in India. He wrote to his family and friends home in the US over the 60 years he was in India. This site is maintained by his family as a means to share some of his writings and stories.